A three vehicle accident closes U.S. Highway 40 in Utah about 10 miles west of the town of Dinosaur, Colorado. Editor’s Note: This story was updated at 9:00 p.m.
CRAIG — A crash involving three vehicles has prompted the temporary closure of U.S. Highway 40 near the Colorado/Utah state line. The crash occurred about 5:40 p.m. Wednesday, June 20, in Utah, about 10 miles west of Dinosaur. 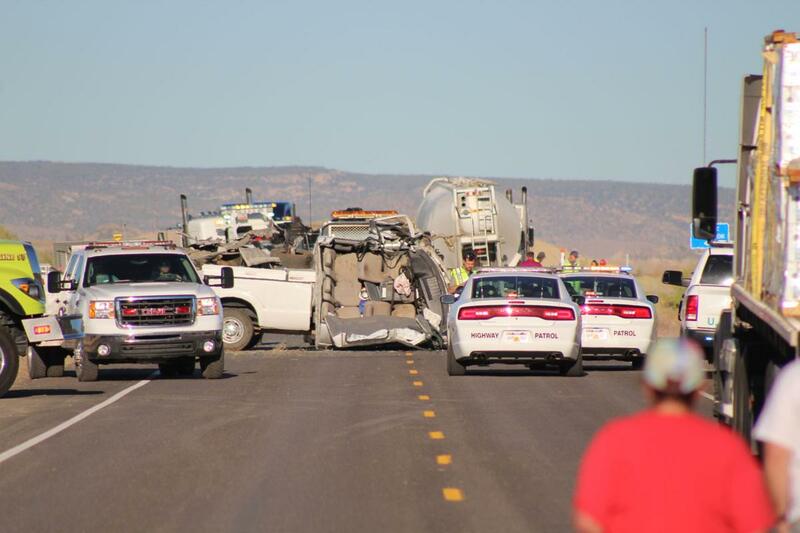 The Vernal Express was on scene and reported that three vehicles — “one Utah semi truck, an Idaho trailer and a Colorado truck” — were involved in the accident resulting in injuries. Naples Police Department, the Jensen Fire Department, the Utah Highway Patrol, Moffat County Sheriff’s Office, Gold Cross Ambulance and one Dinosaur police officer responded to the scene.